We are stepping out with excitement and faith on this adventure of love. Inside is large and open full of potential. The back of the barn. We will glass in the large door and have so much space outside for activities and concerts! This area will be the future coffee bar and front door. The stage will be in the northwest corner where the file cabinets currently are. Our new facilities are right across the street from our current location. Sept/27-29/2018 : The whole community was out in force helping move out of the Free Store and Kitchen Table spaces. We are keeping the coffee shop space open till we can move into our new facility! 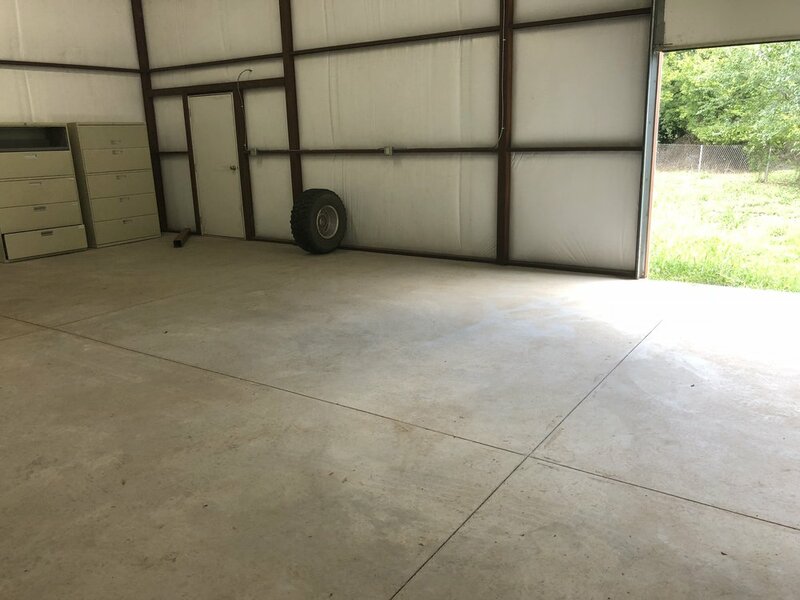 If anyone has a shed they want to donate, we could use some extra storage space! Oct/2/2018 : We have received a wonderful donation of $10,000 to get us started on the project! 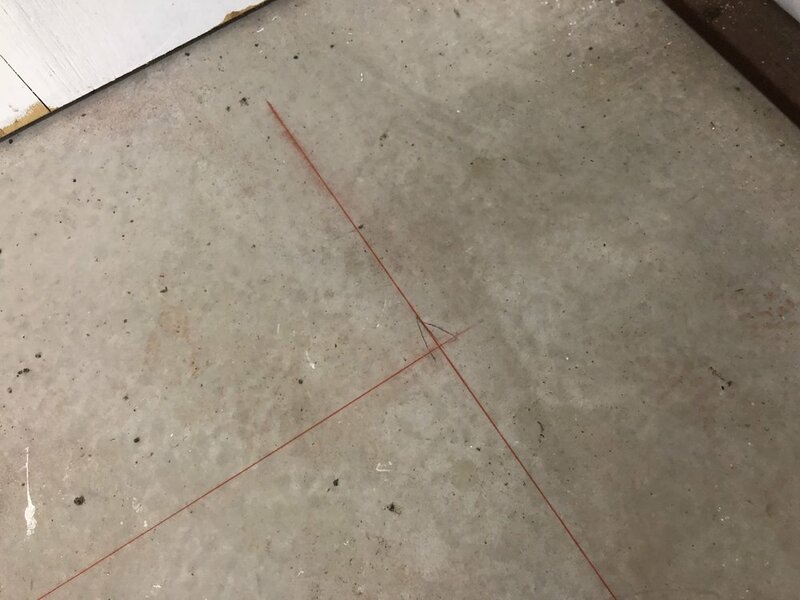 Today the general contractors are snapping lines on the floor to get going on the first phase of framing! 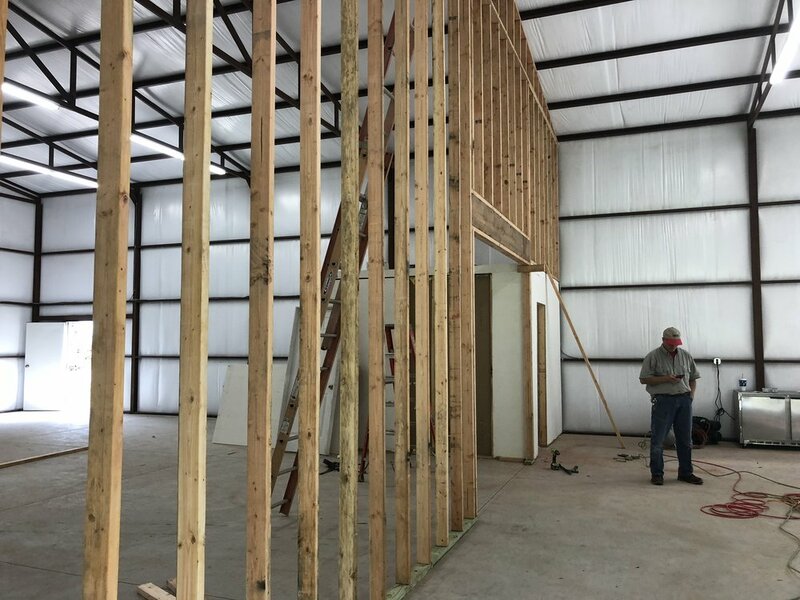 10/06/2018 : Building has begun on the interior! In one day so much has been accomplished. the large meeting room/coffee shop is being framed! 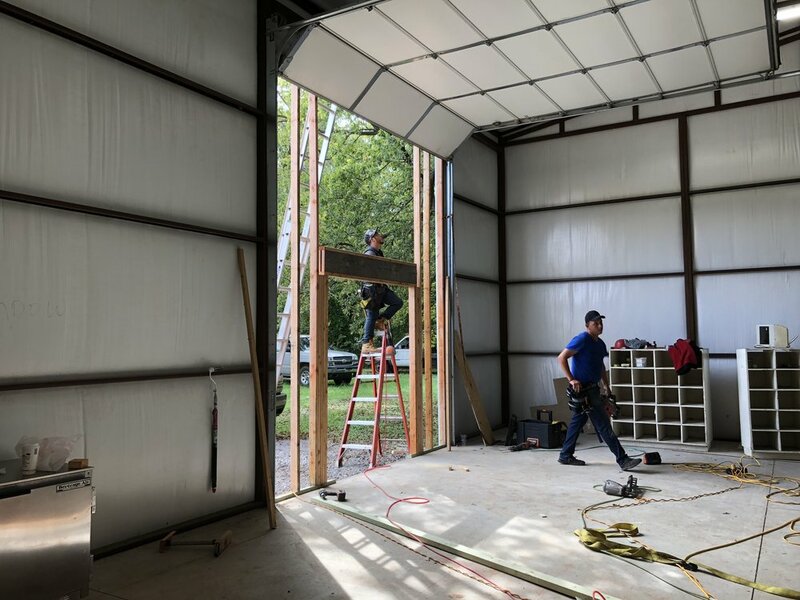 8/20/2018: the Bar is being built! It will be a beautiful new addition where regulars can now sit down and chat with the barista! Oct 27, 2018: a week of great strides. As money comes in we do more! We insulated the ceiling, surrounded the walls with the base wall support and put windows in the front door and classrooms and Kevin is putting to gather the bar top made of beautiful Black Walnut! 10/31/2018 : Kevin is putting together a beautiful bar top! Other projects are coming along, soon it will be time for electrical and plumbing!